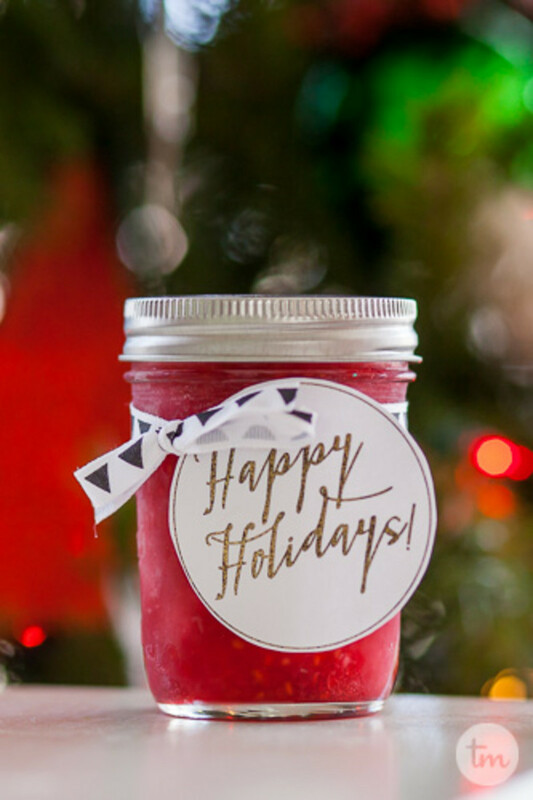 This Christmas I decided to make things super easy, and make all of my neighbor gifts in jars! The Target dollar section has too many fun options and I finally caved and bought a bunch to give to our friends and neighbors this year. 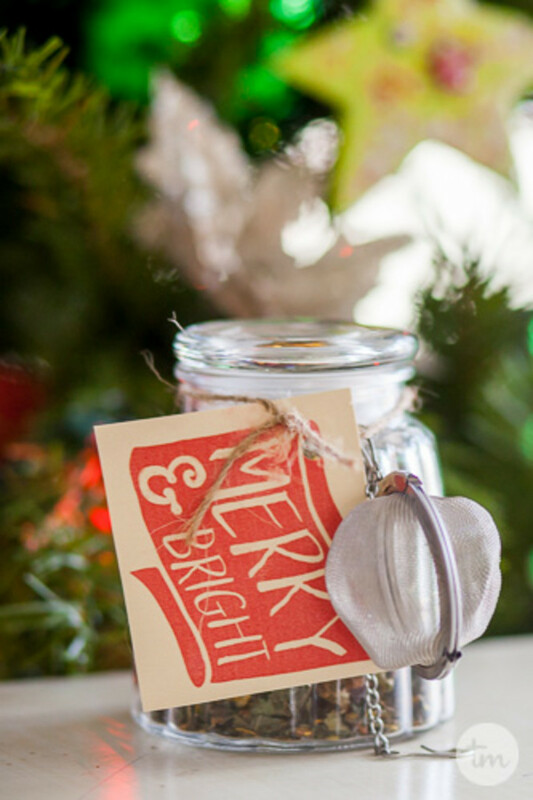 This Christmas I decided to make things super easy, and make all of my neighbor gifts in jars! The Target dollar section has too many fun options and I finally caved and bought a bunch to give to our friends and neighbors this year. Pinterest is flooded with ideas so I put together a one-stop-shop ranging from easiest to most difficult-hopefully helping you out this holiday season! Giving neighbor gifts is one of my favorite things to do during the holidays. It&apos;s been a super easy way to get to know everyone that lives in our circle-no one complains about treats being brought to their doorstep! My children are wanderers and I love knowing that all of our neighbors have met them, are familiar with them and know where to return them to if they happen to find them in their yard. I&apos;ve also learned so much from each of my neighbors and have grown to love them in the 2 short years that we&apos;ve lived in our home because we stopped by with Christmas treats our first holiday here. Here I have pictured loose leaf tea with a mesh tea ball. You could also do candy, montreal steak seasoning, popcorn kernels, etc. Anything that doesn&apos;t require preparation on your part. The options are endless with all of the yummy candies available at Christmas! Here I have pictured hot cocoa and marshmallows. 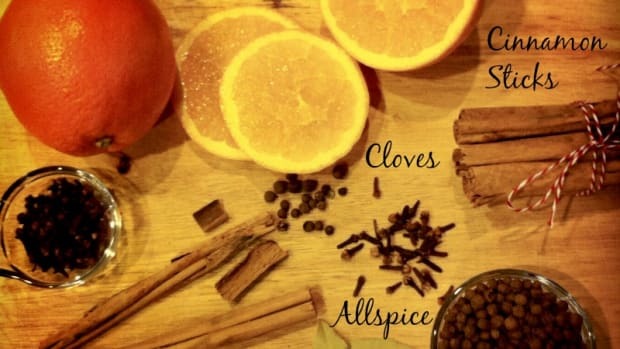 This is a 2 ingredient idea, and takes slightly more time. 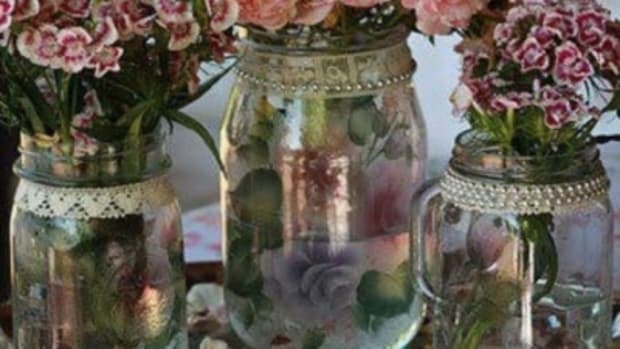 You could also do homemade bath salts, granola + dried fruit, soup mix, cocktail kits or even a cute mani/pedi kit if you wanted to do food-free. Pictured here is Chocolate Chip Cookies in a Jar. It is: 2 C of Flour, 1 tsp baking soda, 1 tsp salt, 2 C of chocolate chips (half white half dark), and 1 1/2 C brown sugar. All they need to add is 1 cube of butter and 2 eggs. I stacked the ingredients in the order that I add them when I make cookies so it would be easy. You could also include a cute printed version of the recipe. 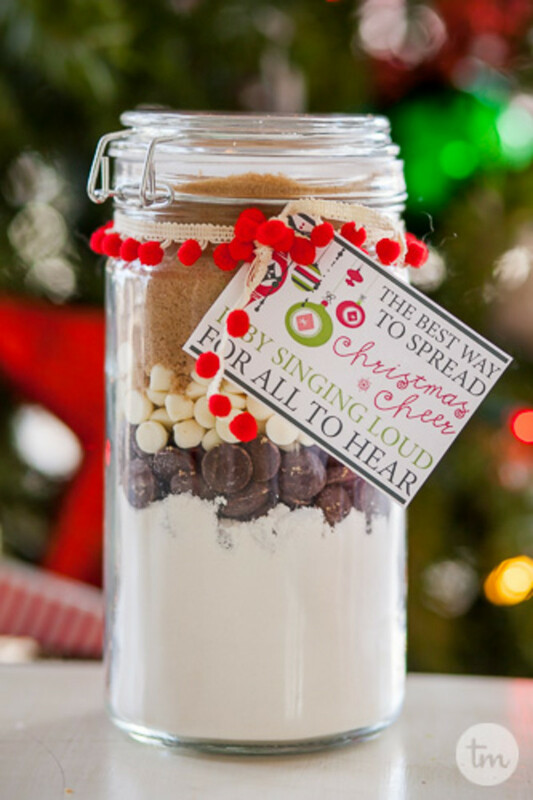 Some other fun ideas include: bean soup mix, other kinds of cookies, Christmas smells in a jar, brownies in a jar, and more. Pictured above is homemade muddy buddies. Always a favorite. Other options include: Homemade play-dough, Caramel popcorn, peppermint sugar-scrub, chocolate covered pretzels, any yummy Christmas snack! This is my homemade raspberry jam. 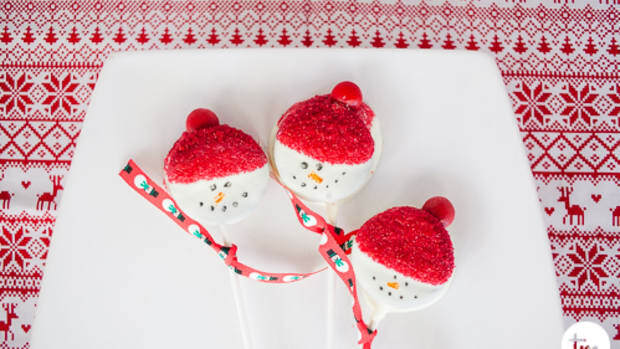 I love to give this as a gift any time of the year because it&apos;s just ready to go in my freezer! 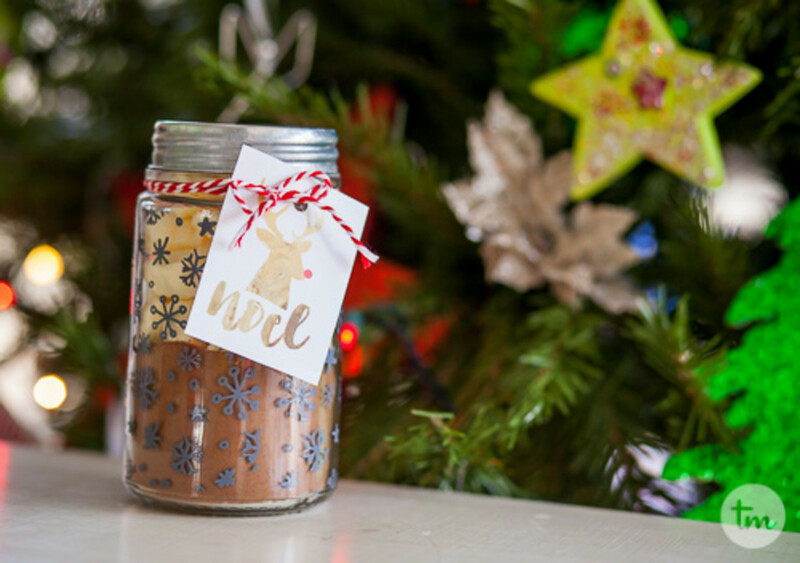 Some other great homemade jar gifts in the category include homemade hot fudge, homemade caramel sauce, homemade bbq sauce, other jams or jellies, homemade apple butter, or homemade pesto. More work, but totally worth the homemade deliciousness! Really there is endless options-so get out there and get to know your neighbors! All of the Christmas tags featured in the post are available for free download & print over on my blog, adayinapril.com/blog. 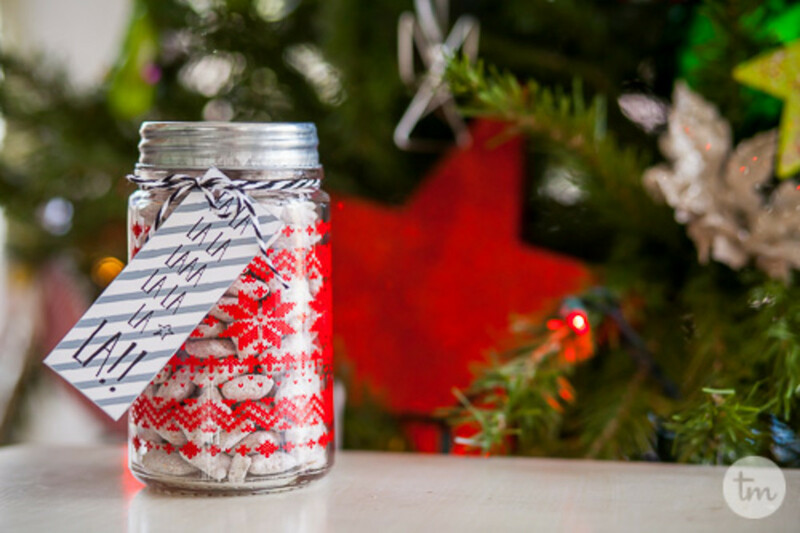 Whether you’re planning on giving delicious baked-from-scratch goodies or a bit of pre-packaged cheer there is no question, that a fun printable gift tag is in order. 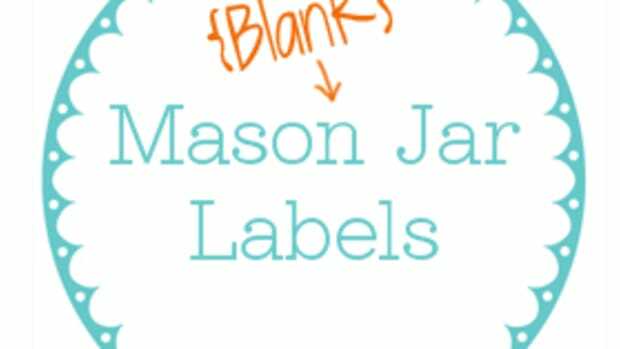 Put the final touch on your mason jar creations with this printable jar label template. 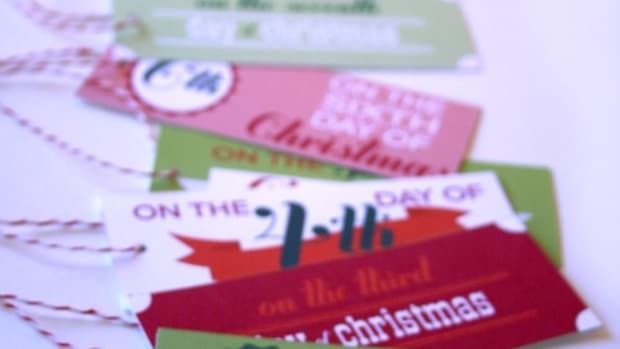 We’ve got printable 12 Days of Christmas tags for you to use to spread merriment. 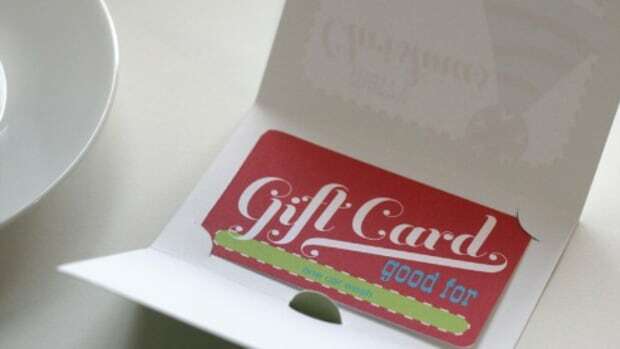 If you’re still scratching your head and trying to find that perfect gift for a special someone, we have a solution—a Printable Christmas Gift Certificate. Ok, I admit it. I’m a bit addicted to Pinterest. And through the pins I’ve collected, I’ve become a bit of a jar junkie. 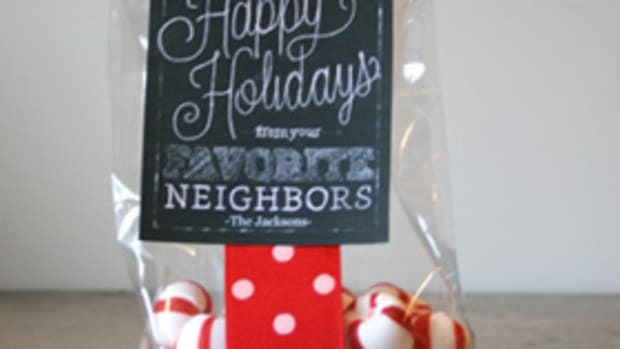 This sweet treat is great for neighbor gifts. 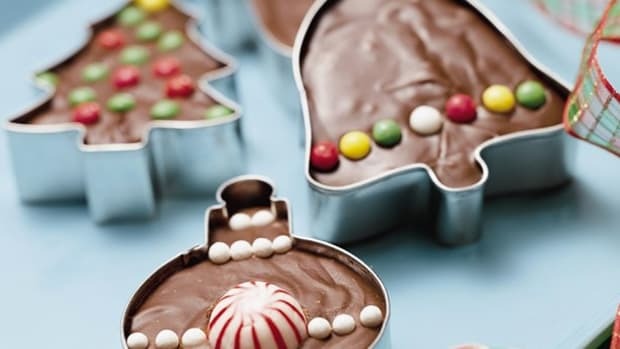 Fill your cookie cutter with fudge, brownies, or cookies and decorate!